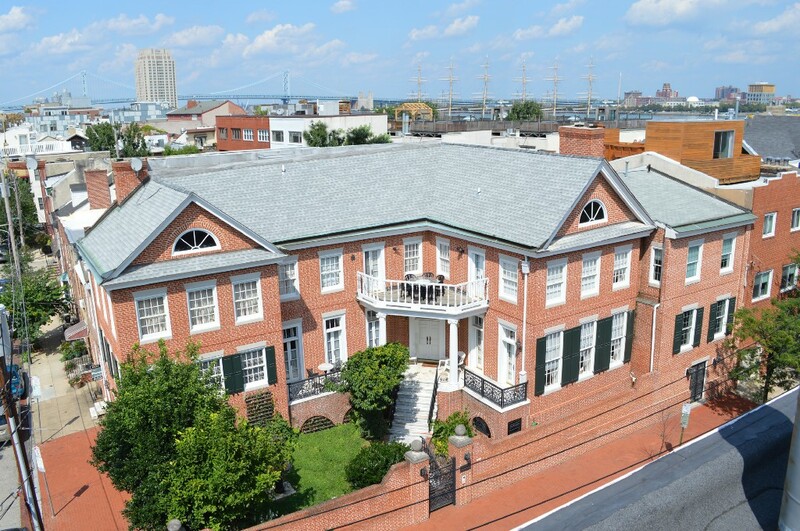 A family that until recently owned and operated a company with more than 400 billboards in and around Philadelphia, is set to auction off its Queen Village mansion Tuesday, Oct. 10 at 6 p.m. at the Hilton at Penn’s Landing. Following the May passing of Steen Outdoor Advertising’s president and Philadelphia business icon Terry Steen, and the sale of the company, the family no longer has a need for the unique home at 113–121 Bainbridge St. The five-bedroom, five-bath house covers five lots and measures about 7,000 square feet. A wall and gates surround the property, giving it the look of an urban palace. The home, which includes a three-car garage, was built to resemble a bygone architectural era, features stained glass, marble, chandeliers and large living, dining and game rooms. Like all the homes along Front Street in Queen Village, the Steen’s property has easy access to Columbus Boulevard, I-76 and I-95 as well as South Street and Society Hill. The new owner will also have easy access to the roof deck (with hot tub) via the elevator. “Because Queen Village is a very desirable neighborhood and because the property spans five lots, it is ideal for a family that likes to entertain or a developer to convert the site to multiple townhomes or apartments.” Dann said. Previously asking $2.6 million, the property is now guaranteed to sell at or above the minimum bid of $850,000. Those wanting to tour the home will have three opportunities on Sept. 17, Sept. 20 and Oct. 1. All tours are from noon– 2 p.m.